Introducing Fred Yalmeh, the CEO & Founder. Fred started his online career back in 2008 while attending Bellevue Collage. It was there that his eyes were opened to the power of online marketing and lead generation. A huge key to his success was finding a mentor who was earning over $100,000 a month online and following in his footsteps. Within short order, Fred began to capture leads and convert those leads into buyers and went onto generating over $10,000 in less than 5 days. That's when the world of internet marketing and digital marketing became real for Fred. After that Fred went onto developing iPhone apps, software, services and launching information products for clients and himself. Fast forward to 2013, when Fred took a 1 month adventure trip to Canada where he was awakened in the middle of the night with the inspiration to create what is now known as the "Funnel Savvy"
Fred had just recently launched a webinar and information product in the personal development space that went onto generating over $150,000 in less than 90 days and the inspiration that night in Canada was to teach others how to use webinars to create the life they desire and make a lot of money in the process while helping people too. Over that year, the Funnel Savvy transformed and became the system for any company to capture leads, convert sales and create raving fans. Not just using webinars, but by having a system and process anyone and any business could use. In 2014, Fred then went onto helping a vacation company who was generating $1.5 million a year before Fred came in and they went onto becoming a $5.3 million a year vacation company in less than 6 months. 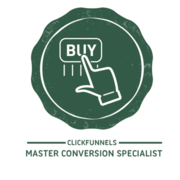 Fred has the unique ability to architect funnels and user experience online that convert leads into buyers and buyers into raving fans. 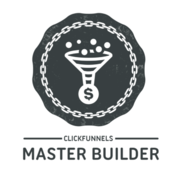 Since Fred started his online marketing career he has helped his clients, partners and himself generate over $10 million online using the power of the Funnel Savvy. Fred is also passionate about helping entrepreneurs "automate a life worth living" which is his personal mission to help 1 million entrepreneurs to be in a position where their business works for them rather than them working for their business and enslaved to it. Request a free quote and strategy session today to see how the Funnel Savvy can be put to work for your business so you can free up your time and start enjoying more of the life you've dreamed of when you first started your business. Request A Free Quote & Strategy Session Today! We are marketing experts who architect, engineer and build high converting sales funnels to produce leads and sales for our business, our clients businesses and possibly we'll get the opportunity to help you with yours! Beyond setting up your sales funnels, we help generate leads with traffic from Facebook & Google (just to name a few). That traffic goes toward targeting your perfect audience and customers through the process of discovering you, your products, your services and your brand online. We are the core team behind Funnel Savvy and all of the brands that we represent. When you call in or request a quote or we connect on Live Chat you'll talk to one of us. 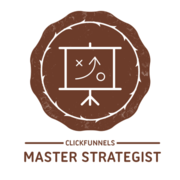 When you have a strategy session, you'll have one of us because we know the ins and the outs of architecting and building sales funnels that convert. Our team of digital marketing experts and certified by results (not just some random certification someone made up) and we have been building sales funnels to capture leads, convert sales and create raving fans since 2008 when Fred first started his online marketing career. 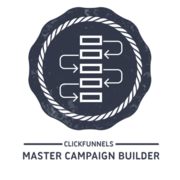 * Since then our campaigns and funnels have produced well over $20 million in revenue for our clients, partners, and our own companies. We are more than certified to do the job and help you create, design and launch the business of your dreams. The bottom line: we get the job done right and we produce results.